Spots of dried blood, especially on bright, dense tissues, they represent a fairly large problem in the wash. However, using some readily available tools, you can cope with this problem. Soak the stained fabric in cold water. 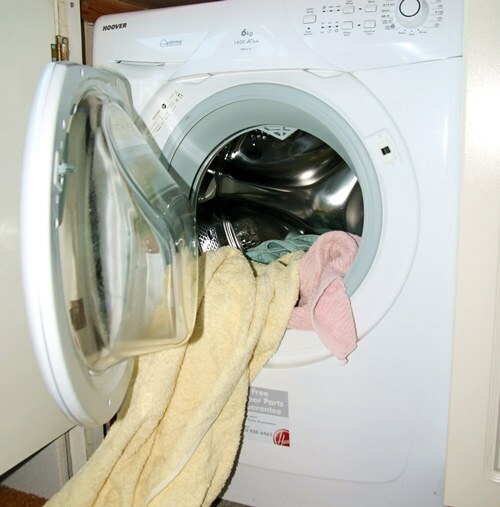 To clean washing such stains hot water is not recommended. When the stain will soak, rinse the cloth and change the water. Dark clothes, this may not be enough. For removal of dried blood stains you can try to soak the fabric in a solution of salt. For that dissolve in a liter of water a tablespoon of salt and leave stained fabric in this solution for twelve hours. After soaking wash the contaminated area with household soap in water at room temperature. You can try to deal with the stain with hydrogen peroxide. To do this, drip a three percent solution of hydrogen dioxide on contaminated fabric. After five minutes, rinse the solution and wash soiled thing, poured on the stain with washing powder. In order not to damage the fabric, taking the stain with this method, check the action of hydrogen peroxide on inconspicuous area of fabric. Dried blood from light fabrics can be removed, soak soiled thing in a solution of soda ash. In order to do this, mix fifty grams of soda in a liter of water and soak in this solution contaminated cloth in ten hours. After soaking rinse the thing and wash it with bleach. Remove the dried stain with the production of silk will help potato starch. Of cold water and starch to make a slurry, put it on the contaminated area of the fabric and wait for the drying of starch. Remove the starch and rinse the cloth in the soapy water, and then in a solution of teaspoon of vinegar per liter of water. Remove stain from wool fabric with liquid ammonia. To do this, check the effects of ammonia on the fabric on some not very noticeable area, then wipe the contaminated area with a swab, soaking it in a three percent solution of ammonia. Processed rinse the thing in water at room temperature.